Showcase all of your favorite things with the Show & Tell étagère from Trisha Yearwood. 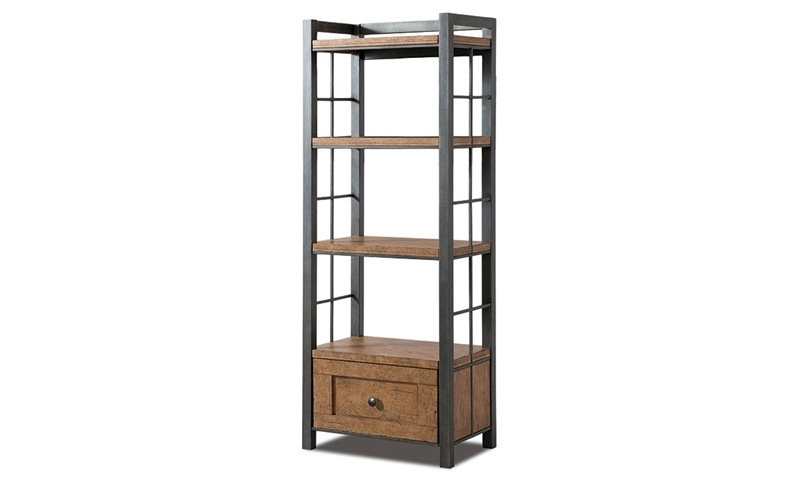 It includes four shelves and a full-extension drawer for storing and displaying books, photos, home accents and more. Oak veneers in a distressed wheat finish combine with a hand-forged burnished pewter frame for a bookcase with both rustic and industrial charm.